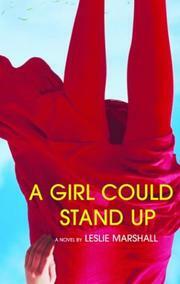 Madcap meets pull-the-heartstrings comedy in a first novel about a precocious orphan growing up in Washington, DC. Elray Mayhew’s parents, Jack and Barkley, are electrocuted in a freak amusement park accident on Elray’s sixth birthday. Elray escapes with a bruise on her arm, through which her dead parents intermittently communicate with her. She is raised by “Aunt”Ajax, who is actually Jack’s cross-dressing gay brother, with help from Barkley’s brother, Uncle Harwood, who is frequently away on photography shoots. A lawsuit against the amusement park brings the Irish lawyer Rena into the family circle. A little further on the edge is Elray’s therapist, Hansueli. Elray is meant to win our sympathy, but her fey wisdom gets a little trying. In preadolescence she meets her soulmate, Raoul, while exploring the crypts beneath the Cathedral connected to her school. The two share a quest both for invisibility and invincibility. They practice “dying” and make movies of their increasingly risky escapades. But in adolescence, after an almost fatal swim across the Potomac, the friendship falls away, in part because Elray never feels she can measure up to Raoul. While Raoul attempts normalcy, Elray spends time with her grandmother. Granny, who faked her death 30 years earlier because she knew she was a bad wife and mother, has suddenly resurfaced and wins Elray’s confidence, only to use the girl against her uncles in a custody battle. After Elray exposes Granny’s manipulations, the battle explodes, but even so the family finally reunites. Meanwhile, Rena, who’s had an affair with Harwood, marries Ajax. Just as Granny dies, for real this time, Rena bears twins, a boy resembling the Jack/Ajax side of Elray’s heritage and a girl resembling the Barkley/Harwood branch. Raoul and Elray are also reunited as they discover their capacity for invincibility through love. Marshall’s sentence-by-sentence writing shows real flare, but the zaniness feels overworked and a bit tired—like an Anne Tyler/John Irving retread.